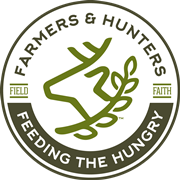 Workplace Charity Campaigns & Matching Funds - Farmers and Hunters Feeding the Hungry - Hunt Down Hunger! Workplace charity campaigns enable employees to designate one-time or recurring gifts to one or more charities through payroll deduction. Some of the campaign types that FHFH participates in are listed and described below. If one applies to you please consider becoming an advocate for FHFH when campaign time rolls around. We can supply you with literature and information about FHFH to share with your fellow employees. Some cities and municipalities offer a charity campaign to their employees each year. Most get the list of eligible charities from their state’s employee charity campaign. If your are employed by a city that conducts a charity campaign in one of the states listed in the section above, look for FHFH in your campaign guide. Many companies and employers nationwide conduct charity campaigns for their employees each year. In some campaigns a list of eligible charities is provided. Others enable employees to give to the charities of their own choosing. In cases where a list is provided you may still be able to designate a gift to a charity that isn’t on the list. Workplace campaigns run by the United Way even offer this option now under the name Donor Choice. Perhaps you work for a company that offers a matching gifts program. In such cases the employer offers to match employee gifts dollar for dollar—often to a specified limit—to the charity of their choice. Taking advantage of this type of program essentially doubles your gift to FHFH! Examples include: Bank of America, Microsoft, Wachovia, YUM Brands, and hundreds more!